• Not babbling – babbling refers to the sounds that babies make before they begin to talk, such as vowel and consonant combinations like “ba”, “da”, and “gee”. Twelve month olds should look at someone while they babble, and take turns babbling with caregivers (like a back-and-forth babbling “conversation”). • Not pointing – such as pointing to ask for things (pointing to the cookie bag up on the shelf) or pointing to get someone’ attention (pointing to an airplane flying by). • Not showing objects to caregivers – 12-month olds hold up interesting objects and show them to their caregivers (as if to say “hey mom, look at this!”). It can be an early sign of autism if a child isn’t showing things to people. • Lack of shared enjoyment – shared enjoyment refers to a child’s desire to interact with others, just for the sake of connecting. If a child does not seek out this type of interaction, or rarely smiles or laughs when playing with a caregiver, this is a red flag for autism. • Repetitive actions or movements - like spinning a car wheel over and over again, rather than playing with the toy appropriately. Another example would be a child flapping his hands repetitively. Some typically-developing babies do these types of repetitive actions once in a while, but babies with autism demonstrate these actions more often. • Poor eye contact - not looking at caregivers when communicating or playing with them. • Not following an adult’s pointed finger – not looking in the direction of a caregiver’s finger when he or she points to something. For example, a typical 12-month old will look when their mother points to a toy on the shelf. • Paying more attention to objects than people - all children are fascinated with toys and interesting objects. But young children with autism will spend much more of their time with objects than people. • Limited play with toys – a young child with autism may only engage with a small number of toys, or play with just a part of the toy (the wheels of the toy car) rather than the whole toy. • Not copying actions or sounds - not imitating actions like clapping hands, banging on a drum, or people’s speech sounds. • Not responding to his or her name when called – some parents of young children with autism initially wonder if their child is hearing properly, or think that their child is just ignoring them when they call his or her name. Children with delayed language should have a hearing test to rule out a hearing problem. But young children with autism don’t respond when their name is called even though their hearing is fine. This is due to difficulties with paying attention and understanding language. 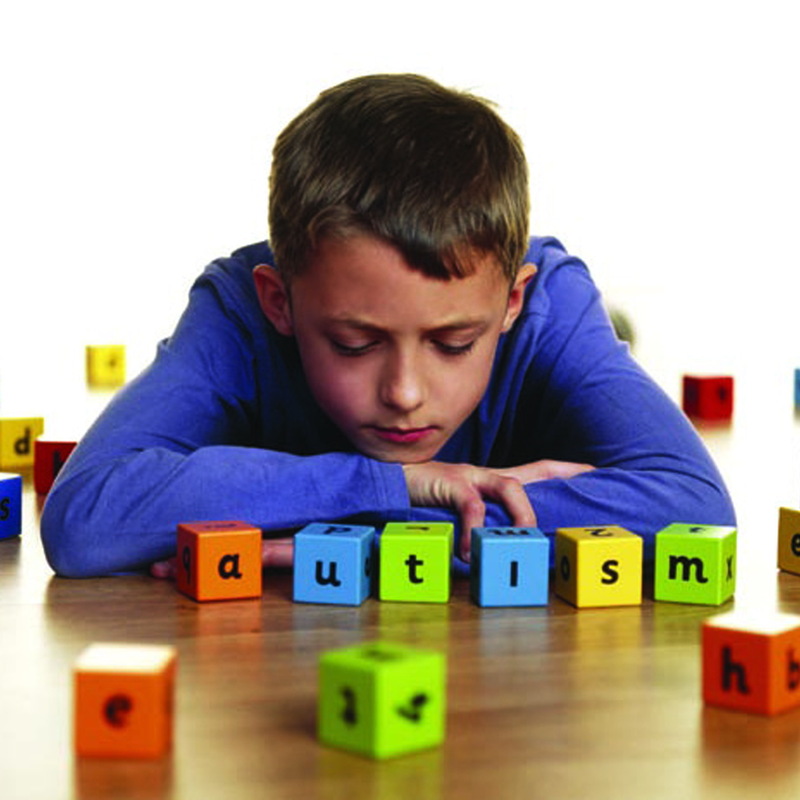 • A loss of words, skills, or social connection - this type of regression doesn’t happen with all children with autism. But approximately 20% to 50% of parents of children with autism report that their child lost some of his or her skills during th second year, usually around 18 months of age.